Did you miss out on this past weekend’s The Division 2 Private Beta? It was only open to those who pre-ordered and a select few others who signed up, so you’re not alone. Well, good news – while nothing has been officially announced just yet, it seems like Ubisoft will also be holding an open beta for The Division 2. Ubisoft was streaming the private beta all weekend long. At one point, one of the streamers asks about a certain bug, and a Massive Entertainment dev responds that “we’re going to fix that for the open beta” (thanks to Redditor TiniestBuckle for spotting the exchange). A brief moment that could be easily overlooked, but the meaning seems pretty clear! Dark Zone East — the largest of all three Dark Zones, players utilize long sightlines in over-grown governmental parks. 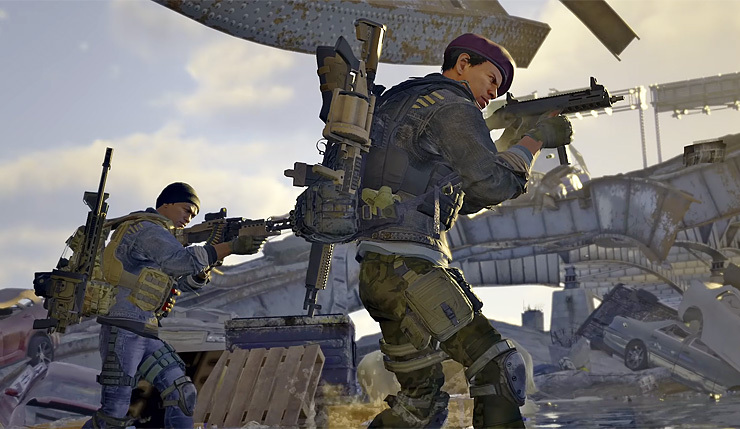 You will acquire the DZ East introduction mission from Senait Ezera—the new Dark Zone NPC in the Base of Operations—after completing Jefferson Trade Center. Completing this intro-mission unlocks full access to the Dark Zone and its features. The Private Beta will also feature a portion of The Division 2’s end game! After completing Jefferson Trade Center for the first time, you will gain access to an end-game mission that unlocks three level 30 characters on your account. Upon logging in with one of these characters, the end game mission will begin. Each character is equipped with a different Specialization, so feel free to find your favorite! Tom Clancy’s The Division 2 is coming to PC, Xbox One, and PS4 on March 15, 2019. Expect the open beta to happen sometime this month.